This is my favorite Pentecost hymn. "But it’s the only one I’ve got"
"You don't need me any more." Sometimes even our most elaborately connstructed walls of protection are susceptible to an unsuspected attack of love. The lie that Jesus hadn't risen but that His body had been stolen, cooked up by the priests, who knew from the soldiers' testimony that Jesus had risen from the dead, couldn't be sustained. Conspiracies never can be. Someone always cracks. Someone always lets the cat out of the bag. So, it is with this conspiracy designed to suppress the truth that Jesus Christ had risen, hatched on the first Easter Sunday. But the conspirators' lie contrasts with the message of the angel who met several of Jesus female followers earlier that day and the message of Jesus' resurrection carried from the tomb by those women. It wasn't a lie designed to keep people out of trouble. It was a truth that was bound to get anyone who believed and bore witness to it in trouble. In spite of threats, persecution, ridicule, and the murder of believers though, none of the early Christian disciples "cracked." Elsewhere in the New Testament, the apostle Paul, himself once a skeptic and later a witness of the risen Jesus, says that more than 500 disciples saw Jesus after His resurrection. None, that we know of, ever changed their story under pressure. That's pretty remarkable when you consider that they had all pretty much fled from their fellow Jews and their Roman overlords or had stayed at a distance when Jesus was arrested, tried, and executed. How to explain this sudden and sustained courage in the face of disdain and death threats? It's this. They weren't in on a conspiracy to trick the world into believing that Jesus rose. There wouldn't have been anything in it for them--no power, no prestige, no wealth--to incite them to engage them in such a conspiracy anyway. The powers of that time and place--the first century Judean equivalents of Church and State--and public opinion were against them and against their Messiah, Who by His refusal to fight and His acceptance of death, had offended some and disappointed others. On the first Easter, a conspiracy was hatched. It's been exposed. It was the conspiracy of some power-hungry religious leaders threatened by the Savior of the world and some Roman soldiers. On the first Easter, Christ rose and the evidence--in the courageous witness with nothing to gain by proclaiming Christ risen and in the lives of billions still being changed daily by following Christ--says that it really happened. Madeleine Lebeau, the last surviving member of the cast of Casablanca, has died at the age of 92. Lebeau played the part of Yvonne, introduced early in the film as a jilted French expat in love with Humphrey Bogart's Rick Blaine. In a subsequent scene, she walks into Rick's Cafe Americain on the arm of a German soldier. But when an underground leader seeking to flee the clutches of Nazi Germany, Victor Lazlo, played by Paul Henreid, leads the cafe patrons in singing La Marseillaise, Yvonne chokes back tears and reclaims her patriotism. As such, she foreshadows a similar transformation on the part of Bogart's Blaine. Near the film's end, Claude Rains' police prefect, Captain Louis Renault, remarks, "Rick, you've become a patriot." Says Rick: "It seemed like a good time." Lebeau's performance was affecting and, according to this piece from deadline.com, the tears she shed during the La Marseillaise scene were genuine. Lebeau, who was Jewish, and her husband fled from France as Nazi Germany occupied and overran their homeland. She wasn't the only member of the Casablanca cast to know first hand about the savagery and antisemitism of the Nazi regime. Most notable among them maybe, was Conrad Veidt, who played the villainous Major Heinrich Strasser. But, beyond Bogart and Bergman, the entire film deserves the label classic. The script, the supporting cast, the direction, the music, and the plot all combine to produce a compelling story of people running from a cruel madness, coping often with a cynicism which they drop before the bold idealism of Victor Laszlo. Lebeau was an old woman when she passed and the world of Casablanca seems as removed from today as the Dark Ages. And yet, the movie continues to stir and people resonate to the astounding performances of Lebeau and all who made this a film worth seeing again and again. 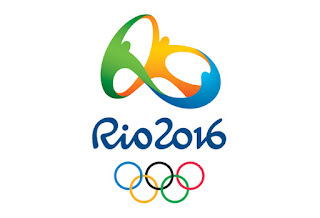 Should the 2016 Rio Olympics Be Scrubbed? A member of the medicine and law faculties of the University of Ottawa, writing for the Harvard Public Health Review, says the Rio Olympics should be "postponed, moved, or both, as a precautionary concession," giving five reasons. 1. "Rio de Janeiro is more affected by Zika than anyone expected, rendering earlier assumptions of safety obsolete." Rio de Janeiro’s suspected Zika cases are the highest of any state in in Brazil (26,000), and its Zika incidence rate is the fourth worst (157 per 100,000). Or in other words: according to the Brazil’s official data, Rio is not on the fringes of the outbreak, but inside its heart. 2. "...although Zika virus was discovered nearly seventy years ago, the viral strain that recently entered Brazil is clearly new, different, and vastly more dangerous than 'old' Zika." Phylogenetic mapping demonstrates that this particular virus arrived in Brazil from French Polynesia in 2013. Although the danger went unnoticed in French Polynesia at first, retrospective analyses now show that the risk of microcephaly increased by 23 to 53 fold. Later studies from Brazil now powerfully argue that the relationship is truly causal. 3. "...while Brazil’s Zika inevitably will spread globally — given enough time, viruses always do — it helps nobody to speed that up." In particular, it cannot possibly help when an estimated 500,000 foreign tourists flock into Rio for the Games, potentially becoming infected, and returning to their homes where both local Aedes mosquitoes and sexual transmission can establish new outbreaks. 4. "...when (not if) the Games speed up Zika’s spread, the already-urgent job of inventing new technologies to stop it becomes harder." 5. "...proceeding with the Games violates what the Olympics stand for." The International Olympic Committee writes that “Olympism seeks to create … social responsibility and respect for universal fundamental ethical principles”. But how socially responsible or ethical is it to spread disease? Sports fans who are wealthy enough to visit Rio’s Games choose Zika’s risks for themselves, but when some of them return home infected, their fellow citizens bear the risk too—meaning that the upside is for the elite, but the downside is for the masses. 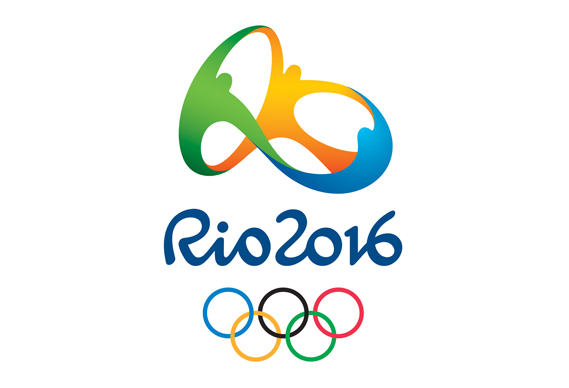 In the build-up to the games, we hear all manner of assurances about the healthfulness and safety of the Rio venues. (Although I don't think I'd want to participate in any of the water events.) But Attaran's points raise a whole added dimension of concern over the advisability of Rio as a venue for the Olympics and Paralympics. But big money--both that spent, committed, and anticipated--will likely leave these concerns, warranted or not, unheeded and not discussed. Lane was among the first of many people to follow who found it hard to accept that in 1963, a president couldn't be assassinated by a single crank with a rifle. In this era of anger and gory violence as entertainment, such truth may be less difficult to swallow, though the necessity of sites like snopes and PolitiFact demonstrate that just because people have access to more information ever in history doesn't mean they don't find conspiracy theories alluring. For those who aren't picky about the truth, conspiracy theories offer convenient explanations of a messy, chaotic, and, yes, sinful world. But they're almost never true. One reason for that is that conspiracies are difficult to sustain. Sooner or later, whether for money, or fame, or to avoid ridicule or even death, real conspiracies break down. Someone cracks. Clearly, Lee Harvey Oswald was JFK's killer and he acted alone. I don't know about you, but I'm busy every day. And at the end of every day, there are things left undone, all of which I hope and pray were the ones I should have left undone. So, I'm always looking for tools to help me be more productive. Number one for me is to begin my day with a Quiet Time with God and the Bible, a living breathing dialog with the living God. I note a qualitative and quantitative difference between the days I madly rush into my work, on the one hand, and those when I take the time to seek God's truth for my day and lay my needs before Him, on the other. Martin Luther once wrote, "I have so much to do that I shall spend the first three hours in prayer." I can't match the Reformer for time spent in prayer. But I do try to begin each day in fellowship with God. In an article on TIME's motto site, Lisa M. Gerry gives three simple techniques for becoming productive each day. They obviously represent the distillation of lots of other wisdom you've probably seen before, particularly that of author Charles Duhigg who Gerry cites, but I love it. And, doing maybe unforgivable violence to the short piece, I'm going to distill it. 1. Ask yourself why you're doing something. This past Easter, Jason Micheli, a self-proclaimed "tamed cynic," cited these words from the New Testament to say that, if the Gospel proclamation of Jesus' resurrection isn't true, the teachings of Jesus are meaningless. Especially when it comes to Jesus’ teachings, I said, we’re off the hook if Jesus has not been vindicated by God through resurrection. Never mind the irritating fact that if Jesus was not raised from the dead then there’s nothing transformative and death-defeating about his teaching. It just got him killed. Death had the last word (and still does). If God did not raise Jesus from the dead, then God did not vindicate Jesus’ life, his way of life. So then there’s nothing special about them, they lead only to crosses. If Jesus wasn't raised from the dead, then all He taught about the new life, the power of surrender to God, and His being "I AM," Yahweh, God come to earth is nonsense. The resurrection demonstrates that everything Jesus taught--about God, about love, about sin and repentance, about love and redemption--is true. Jesus without a resurrection reduces Jesus to the status of a delusional crank and His teachings, inextricably linked to His death and resurrection, utterly false, unworthy of anyone's attention or allegiance. People who claim to follow Jesus, based on the testimony of the Gospel writers in the New Testament, but reject the truth of their testimony about the Jesus' resurrection are guilty of a self-indulgence, the only purpose of which is to justify themselves on the bases of their own virtue. They try to square the circle: They'll take Jesus, but not the claim over their lives by a Savior Who tells us that, apart from the grace He imparts, we have no virtue, only death and separation from God. A Jesus Who does not rise leaves us as dead in this world as in the next: dead in our vanity, in the futility of our living, and in our death-dealing sins. To dismiss the Resurrection claim, which the evangelists believed whether or not you do, is to call them liars. And if you think the evangelists liars about the climactic turn in their testimony, why in the world would you trust their prior testimony about the words and deeds of Jesus? The disciples, after all, didn’t simply convert from one religion to another; they lived- suddenly- as if they inhabited a totally new world. It all comes down, Micheli says, to trust. If we're willing to trust in the validity of the Gospel accounts of Jesus' ethical teachings in the Sermon on the Mount, he says, then we must also trust the thing on which all four of the gospel writers agree, that after being crucified, Jesus rose from the dead. It's only when we trust in Jesus' resurrection that we can say that we follow Jesus. Read Micheli's entire wonderful post. ...but nobody does anything about them." That paraphrase of a quote from Charles Dudley Warner (who was never known to complain that Mark Twain got the credit for the witticism) summarizes a finding Mashable talked about yesterday. If a vacation doesn't go as planned, consumers have a few options for getting some satisfaction, from avoiding a service provider in the future to demanding a refund. According to a recent survey, however, travelers' favorite option is to complain. Not to the company that didn't meet their expectations, but to the world. While I seldom write reviews of products or services online, I have been known to lodge questions or complaints on vendors' Twitter pages from time to time. I do this only after attempts to talk to human beings at the companies have come up empty. I've done this several times for myself and another person with AT & T. Their @attcares folks usually respond right away, sometimes with very good results. MarkMonitor surveyed 3,257 consumers in eight countries — including the U.S., UK, Germany, France, Italy, Denmark, Spain and the Netherlands — about booking travel online. About 42% of respondents said that when a vacation didn't turn out as promised, their very first response is to post a negative review. Another 35% said their first response is to complain to a licensing body, like the U.S. Department of Transportation or the European Union. Meanwhile, 40% of respondents said they would try to get a refund first. In other words, people complain but nothing good comes of it. Complaining online about a recent booking experience is unlikely to get a traveler much more than (possible) catharsis, but it will likely help other travelers: 47% of respondents said they check online reviews before booking travel, according to Tnooz. Bellyaching seems to be a favorite pastime for some people. They prefer bellyaching--about lots of things in their lives--rather than trying proactively to address what it is that bothers them. They do that for one big reason, I think. There's a gratification they get from having "complaining rights." If they addressed the right people with their concerns, the problems might get solved. What would happen to their righteous indignation, their self-justification? People like that remind me of the lyrics from an old Carly Simon song: "Suffering was the only thing that made me feel I was alive..."
Of course, I'm not suggesting that everyone who goes the Internet bellyaching route right away is psychologically warped. Oh, and here's that Carly Simon song. But that doesn't prevent me from saying enthusiastically that there's much I love about the Roman Christian who heads the Church at Rome, Pope Francis 1. As part of a series of teachings on mercy, Francis yesterday delivered a homily about Luke 15:11-32. In those verses, Jesus' parable of the prodigal son is recounted. In the parable, Jesus tells the story of a father and his two sons. The younger son, contrary to the customs in first century Judea where Jesus and His first hearers lived, receives one half of his father's estate, even before his father's death, then proceeds to squander it in often sinful ways. Destitute and regretful, the younger son decides to return home and ask that his father hire him on as a servant, no longer feeling worthy to be a child of his generous father. But before the young man is able to speak a word of remorse, his father has run to him with a welcoming embrace and ordered a celebration to begin. In the last part of the parable though, we learn that the older son is less than happy about his brother's return and his father's forgiveness of the son. The parable portrays how it is when we turn from God our Father and misuse the life that is the free gift of God. But it also shows how it is when, repentant and struck by the grace and generosity of God, we are able to return to Him through faith in the crucified and risen Jesus. No matter what situation life brings, “I must never forget that I’ll never cease being a child of God, of a father who loves me and waits for my return. Even in the worst situations in life God waits, wanting to embrace me,” he said. Knowing that God loves us and wants us to have a relationship with Him that frees us to live a life of purpose, love, and hope can imbue every life with dignity. How many miles on your Dyson? I love Dyson sweepers. No other vacuum cleaners I've owned have ever come close to the job Dyson sweepers do...and I'm including a Kirby we bought years ago that had a payment book like the ones you used to get when you bought a car. And speaking of cars, evidently the Dyson people are working on an electric car. Unlike Tesla, the breakthrough manufacturer of electric cars, which this article points out, have achieved cult status, a Dyson car would use solid state batteries. The company declined to comment but in 2015 it [Dyson] said it planned to invest £1bn in battery technology and in October it bought solid-state battery company, Sakti3, for $90m, which founder Sir James Dyson said had “developed a breakthrough in battery technology”. ...three key factors for electric car batteries are low cost, safety and a high “energy density” which gives a long range. But currently they are expensive, he said, and cannot drive as far as petrol or diesel vehicles on a single charge. Solid-state batteries could provide a tenfold increase in energy density - how much power they pack in - and are also safer. This is because existing batteries use flammable organic solvents as an electrolyte (through which the current flows), whereas a solid electrolyte does not pose a fire risk and does not need expensive safety features. The solid electrolyte also means the battery electrodes can be made of a much more energy dense material, such as metallic lithium. The quest for an electric car has been going on for at least five decades. I can remember as a kid back in the 1960s reading an article about General Motors and other manufacturers' work on electric cars. It included pictures of prototypes that looked like something you could pick up at a local car dealer's showroom. But the ongoing challenge in the development of electric cars has always been ensuring that they stayed charged for significant distances. Tesla has overcome that issue to a great degree, of course. Solid state batteries offer the potential of longer charges and, unlike other batteries, safety from fire threats. Even if Dyson is unable to develop a marketable product from their efforts, I hope that their entry into the competition will prod others to get in the race too. Until this morning, it hadn’t dawned on me how driven by money Judas Iscariot’s decision to betray Jesus to religious officials who wanted Jesus dead. A woman had anointed Jesus with expensive perfume. Matthew says that all of Jesus’ disciples were angered by the woman’s extravagance. The perfume, they believed, could have been sold and the proceeds given to the poor. But Jesus applauded the woman, saying that she had anointed His body for burial. Right then, Judas runs off to see how much money the priests will give him if he provides them with the chance to arrest Jesus quietly. Judas seems obsessed with cold hard cash. That appears, from this passage anyway, to be his motivation for betraying Jesus. Money in itself isn’t evil. (No matter how badly Pink Floyd misquotes that 1 Timothy passage.) Money is a tool by which we exchange value for value. Depending too much on money leads to all kinds of evil, as happened when Judas betrayed Jesus. Today in this passage, I sensed God telling me that while money has never been a driver in my life, I sometimes fantasize about the good I could do if I had more money. But if there are good things I want to do for God or for others, God seemed to say, I can do them with the money, gifts, relationships, and platforms I already have. "Don't put it off," I sensed God saying. "Be generous now!" What's Christian Unity? And What It's For? Jesus prays for unity among Christians. But what exactly does it mean for Christians to live in unity with each other? It's easier, in some ways, to talk about what Christian unity isn't, allowing that to help us form an answer to that question. So, first of all, it’s not unity with each other apart from unity with Christ. In a denomination to which many of us once belonged, we were accused of breaking the unity of Christ’s Church when we left. But when a group of people calling itself the Church breaks with Christ, it’s no longer united with Christ. We left that old denomination in order to have unity with Christ and with His true Church. Those who repudiate the authority of God’s Word over the life of the Church and the life of Christians are the ones who break the Church’s unity. Unity with other people without Christ is not unity. Secondly, Christian unity isn’t coerced uniformity. I knew a man who bragged about his marriage: “I’m so proud that we’ve been married more than fifty years and we’ve never had one disagreement.” But I later learned that his wife had been taking antidepressants and seeing a counselor for years because her husband was a thoughtless dictator. He was happy; she was a wreck. Unity is not coerced uniformity, whether in a marriage or in a church. Thirdly, the unity for which Jesus prays for His Church does not mean that Christians will never disagree or get upset with one another. In fact, since the Church is Christ’s body in the world, the group of people given the most important mission in the world--making disciples of all nations--conflict and disagreement are to be expected. Only spiritually immature people think that good churches don’t have disagreements! As someone has said, if two people agree on everything, at least one of them is irrelevant...or maybe dead. Consider the Biblical record of Jesus when it comes to conflict. Jesus publicly disagreed with Pharisees and Sadducees for valuing their religion instead of a personal, saving relationship with God. Jesus also condemned those among His fellow Jews who refused to believe in Him, despite Jesus being the clear fulfillment of Old Testament prophecy about the Messiah King God would send to save His people from their sins. Jesus called His own disciple, Peter, a satan for trying to keep Jesus from following God’s plan for Jesus’ cross and resurrection. Was Jesus breaking the unity of believers when He said these things? Absolutely not! Sometimes, in the Church, as in our marriages and friendships, it’s only through the clash of ideas (and the clash of wills) that those who have taken a wrong turn--often both parties--can be brought to the right path and truth becomes clearer. But such clashes need not bring disunity. As much as I appreciate the North American Lutheran Church, of which Living Water is a part, it is only the Church to the extent that it remains faithful to that Biblically-rooted understanding of the Church. The same is true of Living Water Church. Of course, the unity of an individual congregation can sometimes seem to be threatened over disagreements, too. But we know from other relationships that disagreements aren’t unhealthy. Love allows for disagreements, and even a little neurosis. As the sinless Savior Jesus loves and forgives us despite our faults, He makes it possible for us to love and forgive our sisters and brothers in Christ despite theirs. Of course, Christ doesn’t want us to be united just so we can sit around being happy about our unity. What would be the point of that? The unity for which Jesus prays has one overriding purpose: to empower the disciples of His Church--you and me--in fulfilling our one and only mission of making disciples for Jesus Christ. That’s it! A church united in Christ loves nothing more than making disciples, seeking out and welcoming others so that they can know Christ as their God, Lord, and Friend. They love taking the time to help others to know and grow in a saving relationship with Christ! We do this in the passionate hope that those not connected to Jesus will be reached by the amazing grace God extends through saved, repentant sinners like us, disciples of Christ who bet our whole lives on Jesus Christ! Like the apostle John, a Church united with Jesus Christ wants to so present Jesus to others that they will come to believe in Him and so have eternal life with God. A united church has the salvation of the lost as its animating passion and purpose, the very reason for its existence! If Christians live in unity for any other purpose than helping people follow Jesus, they may be nice people; but they are not a church. One last thing to note about the unity of the Church is that true unity can’t be manufactured by us. We saints who are also sinners are incapable of resolving to be united. Unity in Christ is God’s gift to people who are focused, not on themselves or their preferences or obsessions, but on Jesus Christ alone. Sometimes, I have Catechism students scatter to different parts of a room and tell them to pretend that a Bible I place on a table is Jesus. Then I tell them to walk toward Jesus. Here’s the deal: As they draw closer to Jesus, they also draw closer to one another. As we draw closer to Jesus, we grow closer to our fellow Christians. Jesus prays that His Church will be one with God and one another because Jesus knows we can’t manufacture or coerce our unity; unity is a byproduct of a people who turn their eyes on Jesus. As we pray, read Scripture, receive the Sacraments, and serve others with a focus on Jesus, our hearts will be more dialed into others, not just ourselves. Words like, “I’m sorry. I was wrong. I think that I may have misunderstood what you were saying, could you explain it to me again? How can I share Christ with others? How can I invite others to know and follow Christ?” will be spoken among us. More and more disciples in our midst will understand that they too have been transformed by Jesus so that they can be part of His priesthood of all believers, each of us having ministries to the Church and to the world.